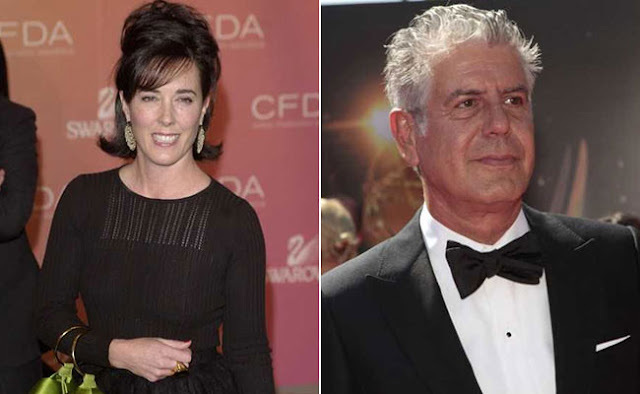 Home / #Drugs / #Health / #Science / Depression / #Health : Suicide in the U.S. has never been higher even as the use of SSRI antidepressants has also never been higher.! #Health : Suicide in the U.S. has never been higher even as the use of SSRI antidepressants has also never been higher.! 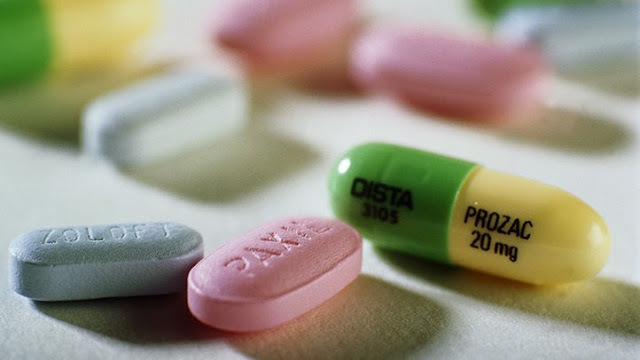 Antidepressant use and the climbing rate of the suicide by Martha Rosenberg . RELATED ARTICLE : US suicides rate rises up due to new type of depression caused by drugs and social-media ! The use of antidepressants almost tripled after direct-to-consumer drug advertising began. Only 13.4 million Americans took antidepressants in 1999-2000 ballooning to 34.4 million in 2013-4. In 2015 one in four U.S. women were on psychiatric drugs, usually antidepressants. Antidepressants were once a short-term therapy to help people get over a troubled time but long-term use has doubled since 2010 and tripled since 2000 so that 15.5 million Americans have been taking the medications for at least five years. “By the mid-1990s, drug makers had convinced government regulators that when taken long-term, the medications sharply reduced the risk of relapse in people with chronic, recurrent depression,” reported the New York Times. The antidepressant drugs used today counteract the effects of neurotransmitter deficiencies in three ways. I. First, they may inhibit the effects of MAO, leading to increased NE or 5HT in the synaptic cleft. II. Second, they may block reuptake by the releasing nerve, leading to increased neurotransmitter levels in the synaptic cleft. III. Third, they may regulate receptor sites and the breakdown of neurotransmitters, leading to an accumulation of neurotransmitter in the synaptic cleft. II. 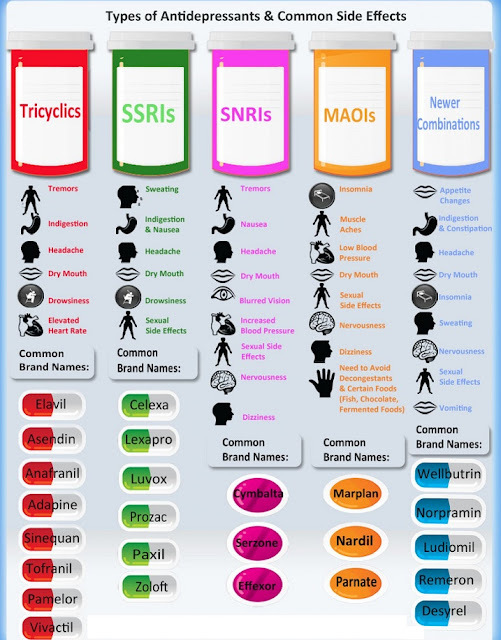 the MAOIs, and the selective serotonin reuptake inhibitors (SSRIs). III. Other drugs that are used as antidepressants similarly increase the synaptic cleft concentrations of these neurotransmitters.